ARMCare is a company limited by guarantee, established as an independent Christian charity to provide services which advance the welfare of refugees and migrants with a refugee background in Australia. Its members appoint a board of volunteer directors. Claire Jones migrated from Kenya to South Africa as a teen, and completed a Bachelor of Veterinary Science at The University of Pretoria, Onderstepoort. She worked in private small animal practice for 4 years before joining the University of Pretoria, and later the Medical University of Southern Africa as a Senior Lecturer and researcher in the Faculties of Veterinary Medicine. During this time, she completed an Honours degree, and then a Master of Veterinary Science (Medicine) (Small Animals) degree, which enabled her to be registered as a veterinary specialist with the South African Veterinary Board. She lectured widely on invitation across Europe and South Africa, worked as an external examiner for the University of Pretoria’s Faculty of Veterinary Medicine and as a scientific peer-reviewer for the Journal of The South African Veterinary Association. She opened and ran South Africa’s first veterinary dermatology specialist clinic and veterinary allergy testing laboratory for 7 years. She was the first female recipient of the South African Veterinary Association's Award for Clinical Excellence in 1991. After migrating to Australia, Claire worked in private veterinary practice as well as for a veterinary pharmaceutical company. In 2012, she completed a Master of International Public Health at the University of Queensland, with two Dean’s Commendations. During her studies, Claire met and worked among Karen, Chin, Sudanese, Nepali, and Iranian refugees in Brisbane. Since 2012, she has been providing health care coordination, health advocacy, health education, and social support among refugees and migrants on Brisbane’s Northside, together with working to increase the cultural competence, and the diagnosis and management of diseases related to refugees among health professionals. For this work she was a finalist for the 2016 Hesta Unsung Hero Community Sector Award, and was awarded the Hesta Primary Health Care Individual Distinction Award for 2017. She also won the Queensland Community People’s Choice Award for the work in 2018. Claire speaks some Afrikaans, and Sgaw Karen, which she constantly works on improving. Claire Peng was born in China and moved to Brisbane in 2011. She was appointed the Brisbane International Student Ambassador in 2013 representing China. Claire attended The University of Queensland Business School, where she was awarded the UQ Advantage Award and was made a UQ Future Leader. She gained experience in refugee and citizenship matters while doing work experience at the Brisbane’s Lord Mayor’s Office. She was also part of the Young Professionals at the Asia Pacific Cities Summit 2015, and is the East Asia Regional Manager of Pro Bono Econos. Claire is now working at EY as a graduate auditor. Her first language is Mandarin, and she also speaks French. Nicholas Johnson is a trained mathematician and economist, entrepreneur and speaker, having been invited to speak at the World Forum for Youth Leaders, APCS 2015, the International Pivotal Summit, the World Trade Organisation, and the United Nations at Geneva, to name a few. Nicholas is a national-level chess player, a former national-level competitive swimmer and concert pianist, and is conversant in English, Latin, Spanish and Greek. 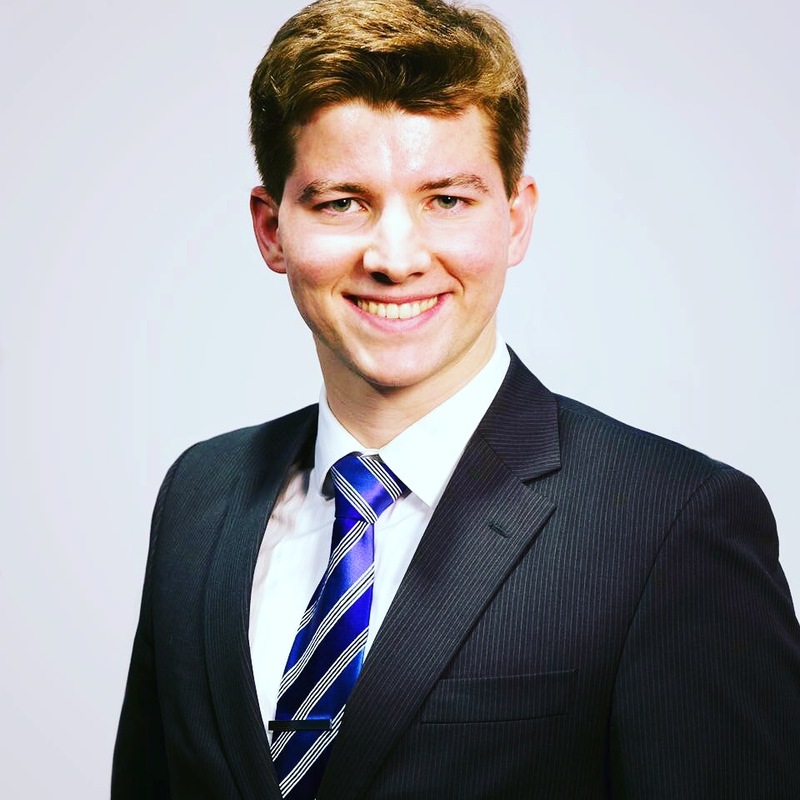 Nicholas attended the Queensland University of Technology Business School and School of Mathematical Sciences, where he graduated at the top of his cohort and received a number of the University’s most prestigious academic and community awards. He now teaches economics, statistics and mathematics classes at QUT part-time. Nicholas also studied entrepreneurship and innovation at Aalto University. He was inducted as a World Economic Forum Global Shaper at the age of twenty-one, and he is the founder and Executive Director of Pro Bono Econos, and the founder and CEO of Economists Without Borders. A former Australian Mathematical Sciences Institute research scholar, he has also spent time at the National Centre for Econometric Research and as a freelance big data consultant, where he reached the semifinals of the World Big Data Championships in 2015. Nicholas sat beside the Lord Mayor of Brisbane, Graham Quirk, on the steering committee for organising the 2017 Asia Pacific Cities Summit in Daejeon, South Korea. He is a sought-after board director for many nonprofit organisations, and has experience on many advisory boards for sporting and mental health organisations, including the Australian Football League's MindMax project, the Young and Well CRC, and QUT Sport. Nicholas is a Justice of the Peace (Qualified) in the State of Queensland. Mu Dar was born in Karen State, Burma/Myanmar in the midst of the ongoing civil war between the Karen ethnic people and the Burmese military, which began in 1949. She and her family were forced to continually move from village to village to escape the attacks of the Burmese military, each move taking them closer to the border with Thailand. At the age of 13, she and her family crossed into Thailand, at a time when there were not yet refugee camps in place. They moved from place to place in the jungle, building rudimentary shelters, to escape being deported back to Burma. When a refugee camp opened, they moved into it, and Mu Dar was placed in a mission boarding school in a different camp. Two years later, her family moved back into Burma, leaving her in the school, as there was no formal education or health service in Karen State. After graduating, Mu Dar started teaching at the school at the age of 19, a position she held for 11 turbulent years, during which the school moved repeatedly from camp to camp to escape frequent attacks by the Burmese using guns and artillery. During this time, she married, and gave birth to her 3 daughters. In 2002, her husband risked leaving the refugee camp to find work to supplement their meagre food rations, and disappeared. Thereafter, Mu Dar worked as an interpreter for an organisation providing orientation training for refugees who were soon to be settled in third countries, such as Australia, the UK, and the USA. After being accepted for residence in Australia, the family moved to Brisbane in 2008, where she worked as a teacher aid, and a bicultural support worker before being asked to work for a private translator and interpreter service in 2009. Since then she has been interpreting in hospitals, TAFEs, and Centrelink branches, helping her community members, and raising her now very accomplished children. Mu Dar speaks five languages - Sgaw Karen, Po Karen, Burmese, Thai, and English. Nkosana Mafico is a World Economic Forum Global Shaper, passionate about advancing humanity through leadership and governance. He co-founded, and was CEO of a Telstra-funded software company. He also founded CYALA - the Council for Young Africans Living Abroad, and for 3 years was the managing director.Nkosana currently serves as an Advisory Council Member at the Australian Broadcasting Corporation. He is also a PhD scholar at The University of Queensland, where he graduated with First Class Honours in Business Management, and as Valedictorian of the Business School. Joseph Kolapudi was born and raised in Brisbane to parents of migrants originating from South India. He currently works with Teen Challenge, assisting youth with counselling and rehabilitation. Additionally, he is on the Managing Committee of Enterprising World, a local social enterprise, which provides higher educational alternatives to low-income migrant youth. He is also on the Queensland State Council for Multicultural Youth Queensland. Joseph’s first language is Telugu (one of the 10 major languages spoken in India). Murray was born in Brisbane and has remained a resident of the city ever since. He has worked in various industries, including banking and finance, local government and full time Christian ministry. He also has 15 years’ experience in managing a small business in the allied health professional area. He is a Commissioner for Declarations in Queensland. Murray is a pastor who has served for eleven years at a church which offers services in four different languages to large numbers of refugees and migrants. He has worked with and supported them from the time of their arrival in the country through to many becoming citizens and being integrated into Australian society and its way of life. 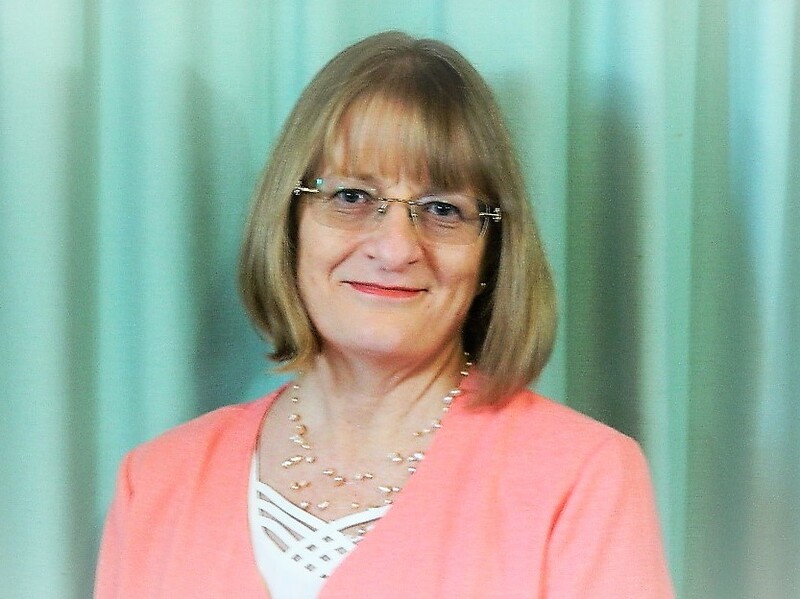 Through experience in employment and in a voluntary position with a number of incorporated societies, Murray has gained substantial experience in teaching and training, pastoral care, financial planning and management and managing both staff and volunteers.